We’ve connected hundreds of medical facilities to the health information exchange (HIE). Over the years, we’ve developed a streamlined, straightforward approach to get new organizations connected. 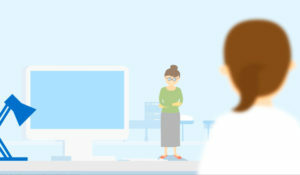 Participant Agreement: Each new facility is required to sign a Participant Agreement governing its connection to HealthInfoNet. This contract will include applicable fees. Clinical Portal Access: HealthInfoNet works with each facility to establish secure access to our clinical portal for viewing the information available in the HIE. We’ll provide portal training to designated users and prepare staff to educate patients about participation. What EMR systems do we work with? We are currently receiving data from the following systems: American Data, athenahealth, Centricity, Cerner, ClaimTrak, CompuGroup, CPSI, EPIC, Meditech, NextGen, Pimsy, Siemens, SuccessEHS, and T-Systems. We are open to connecting with additional vendors as well. To learn more about getting connected to HealthInfoNet, please read these Frequently Asked Questions. Interested in connecting, complete our HIE Interest Form.